Experience plus the latest drag shock technology equals a superior shock absorber. These shocks provide excellent weight transfer on initial launch and quickly bring down the front end to avoid poor aerodynamics, resulting in lower ETs and maximized rear suspension traction. As vehicle speed grows, speed-sensitive valving kicks in for a safer vehicle that's easier to control at the end of the track. Quality struts also available. 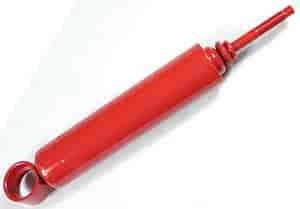 Shocks/struts sold individually. Applications listed with part numbers below. Does Lakewood 40120 fit your vehicle? 40120 - Lakewood Drag Shocks & Struts is rated 4.0 out of 5 by 1. Rated 4 out of 5 by Robert54 from Lakewood Quality Great shocks, just what I needed for my street strip Monza.